I’ve never been a Steve Jobs fanboy, even though my personal and professional life have benefited greatly from the technologies he popularized. He was a tyrant, he didn’t spend much time with his kids, and he wasn’t interested in philanthropy. His death this week is an interesting cultural phenomenon to me, but the outpouring of sentimentality is more than a little strange. See The Onion: Apple User Acting Like His Dad Just Died. I’ve owned many Apple products since the early 1980s, including the Apple IIe and the original Macintosh. I currently have an iMac though I mainly use it as my Windows 7 desktop. My kids gave me an iPod years ago and Robbie and I both use it to manage our music collection. I didn’t like the proprietary nature of the iPhone’s operating system and app store so I’ve opted for Android-based smartphones ever since they were available. I didn’t like how the iPad required synchronization with a Mac platform ("Huh? I can’t dump my photos on it without using iPhoto? PHHHTTTTTT!") so I’ve waited for another tablet to catch my fancy. Last week, I placed my order for a Kindle Fire. So I’m an Apple agnostic. 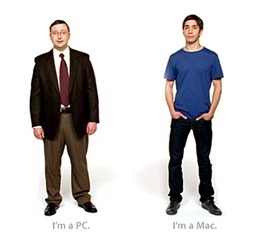 Ten years ago, I heard a marketing guru state that she was a "Mac person." She was illustrating the extent to which people can become emotionally attached to products—and that this was a desirable thing for a company. Ever since, I’ve tried to become more aware of and discourage my tendency to do likewise in my life as a consumer. I have enough trouble with my ego and mistaken ideas about who I really am. Over-identification with a product is a trap I’m better off avoiding. So yeah, R.I.P. Steve. Now let’s move on.